Purusha Teacher Trainings are based on the 5 kosha model of the human experience which includes the physical, energetic, mental, wisdom, and spiritual dimensions, and we believe that through direct experience, personal application, deep reflection, and sharing, you will naturally become a great teacher of yoga. However, our teacher trainings are not only about learning to teach, many choose this path as a means of experiencing and exploring the many facets of yoga in a deeper and more meaningful way. We study the energy system of the chakras and vayus, as well as western modern science, Tibetan mysticism, and world truth/values that call on optimal human potential for the wellbeing of each individual, self realization, and realization of a healthy community, planet and world. Purusha Yoga School is a registered Yoga School with Yoga Alliance. 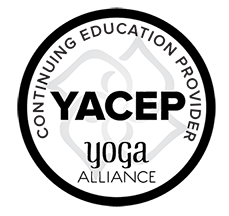 Purusha Yoga School professional staff is made up of CIAYT’s (Certified International Association Yoga Therapists) and YACEP providers (Yoga Alliance Continuing Education Providers). The Level I - Yoga Teacher Training is a foundational 200-Hour training. This course includes a strong emphasis on health education, mental wellbeing, physical fitness, and classic yoga that is applicable to the modern world. Upon completion you will graduate as a Purusha Holistic Yoga Teacher, and will qualify to register with the Yoga Alliance as a 200 Hour Yoga Teacher (RYT 200). I completed my teacher training at Purusha and couldn’t be happier. The community and teachers here are genuine, warm, and nurturing. There is a diverse wealth of knowledge across all the teachers, who connect personally with you to encourage your growth and success. If you’re looking to avoid overly-packed, consumerist teacher trainings, this is the place for your yoga education.